Summer is upon us, and that means it’s music festival season – at least for those of us in the Northern Hemisphere. And festival season means plenty of traveling, listening, dancing, exploring, and meeting new people. Most of the events we'll attend are massive in scale (and growing), but just how many people attend them? Think about the festivities at Lollapalooza or Summerfest, which may feel like you’ve entered a city; turns out, you’re not actually far off. 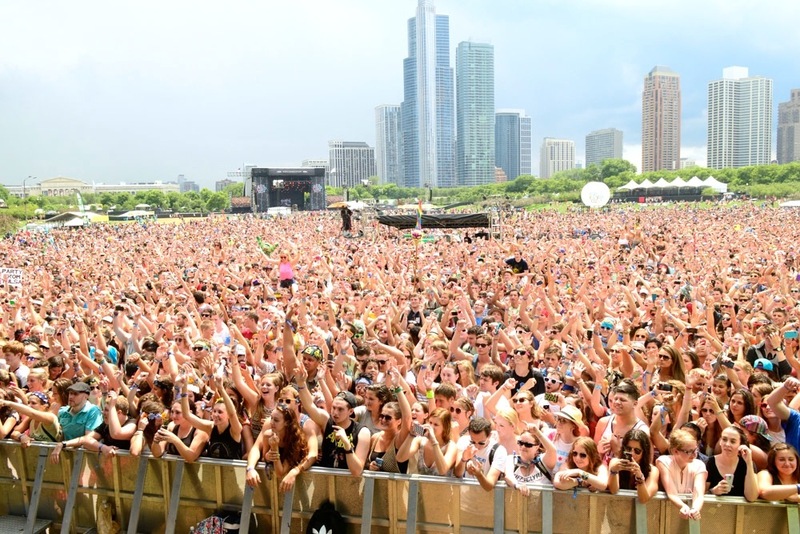 A new study by Nielsen estimates that in 2014, about 32 million Americans attended at least 1 music festival. That figure is one that continues to rise, and is expected to for the next several years. That number may seem extreme, but take into account the fact that annual programs like Summerfest can lure almost one million people to their grounds every year, and then think of the hundreds of festivals that occur every year across the country, and the final figure begins to make more sense. With that many people reaching into their wallets, music festivals are clearly big business. When it comes to ticket sales alone, the total Americans spend on these events is now well into the hundreds of millions region. In fact, the five largest festivals here in the United States alone sold an incredible $183 million in tickets in 2014, with Coachella leading the pack (unsurprisingly) with $78 million done at the box office. Any collection of events that attracts 32 million people is obviously worth paying attention to, but what marketers are most interested in are the demographics of who attends those shows. Many music fests are possible thanks to brand sponsorships and advertising galore, and soon those with money to spend may be even more involved than before. The Nielsen report states that nearly half of those that attended a music festival last year were millennials, to whom marketing is notoriously difficult. There is still much to be learned from this age group (18 to 34 year olds), but with such a high number of them in one place (doesn’t this sound like we’re in a nature documentary? ), brands may begin investing much more heavily. Apparently the sexes are split almost evenly when it comes to attendance, with women only landing behind two percentage points behind men. Also of interest in Nielsen’s latest insightful report was that those who attend festivals aren’t always sticking to ones nearby. The average distance traveled was over 900 miles, and many of those surveyed make more than one trek per year, attending several music festivals. So, while ticket sales may be worth hundreds of millions, the music festival season is actually worth quite a bit more. When everything is totaled up—flights, hotels, food and beverage, and the like—the festival industry is a massive one, reaching into the seven figures.